Satin Bowerbird (Ptilonorhynchus violaceus minor) male "painting" his bower. 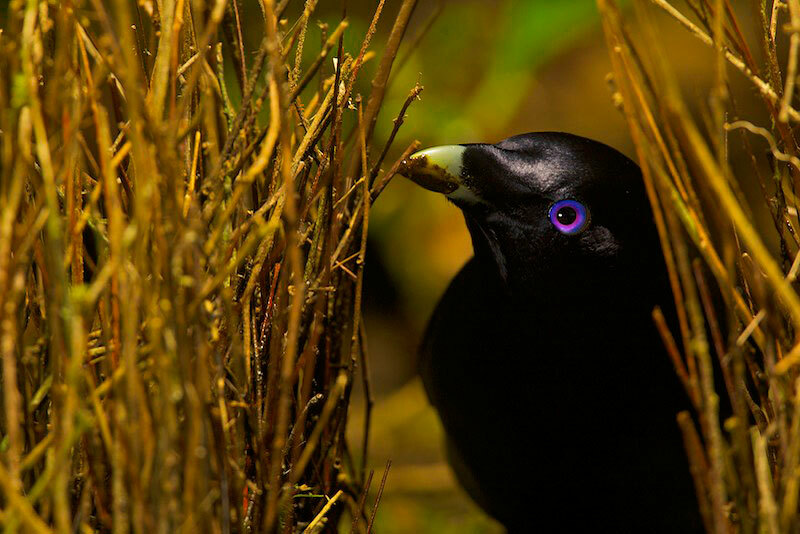 Satin Bowerbird (Ptilonorhynchus violaceus minor) male "painting" the inner walls of his bower with masticated plant matter. Note the substance on his bill. This bower is decorated with all natural objects.